An early homework exercise in my General Assembly User Experience class was to pick a product or service that you have had a negative experience with and write a letter “breaking up” with them. I immediately thought of my frustrations with my current car sharing service, Enterprise Car Share. I am writing to let you know I’ll be closing my account and no longer using your hourly car sharing service. In the interest of clarifying my decision and helping you improve as a company, here is some insight into my decision and recommendations for the future. First, and frankly, round-trip car sharing is on its way out. Although it is an excellent innovation and has served people’s needs for the past decade or so, it is now quickly being replaced by one-way car sharing. Why? Round-trip car sharing requires that you reserve a car ahead of time for a specific amount of time. Unfortunately, most users never know when they’ll actually need a car, especially for errands and group trips, nor do they know for sure how long those trips will take. Round-trip users are penalized every step of the way: they pay for reservation time when the car ends up sitting in the lot and not being driven (either at the beginning or end of a reservation, typically). They get penalized if they bring the car back late, and they get penalized if they don’t fill up the car with gas (and, to add insult to injury, they cannot buy gas with the Enterprise credit card if their reservation is already over). One-way car sharing is done completely on the fly. There is no need to reserve cars ahead of time, and time not spent driving is NOT paid for by the user. Since cars only show up as “available” when no one is driving them, users don’t have to wait for a car that is brought back late, thus cutting into their reservation. 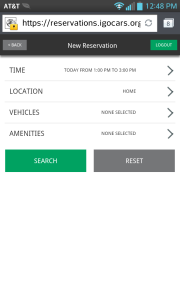 We now have the widely available technology (GPS-enabled smart phones) that make car sharing possible without the use of designated parking spaces. For one-way car sharing, users simply look up where the nearest rental car is, reserve it via the touch of a button, and then walk to the car. Since one-way car sharing is twice as convenient as round-trip car sharing, users are willing to pay more for the privilege. Generally one-way car sharing is paid for by the minute, at a rate double or triple the per-minute rate for Enterprise round-trip rental. Clearly, making a change from a round-trip car sharing company to a one-way company is a huge hurdle. However, some small and meaningful improvements could be made to your mobile site. 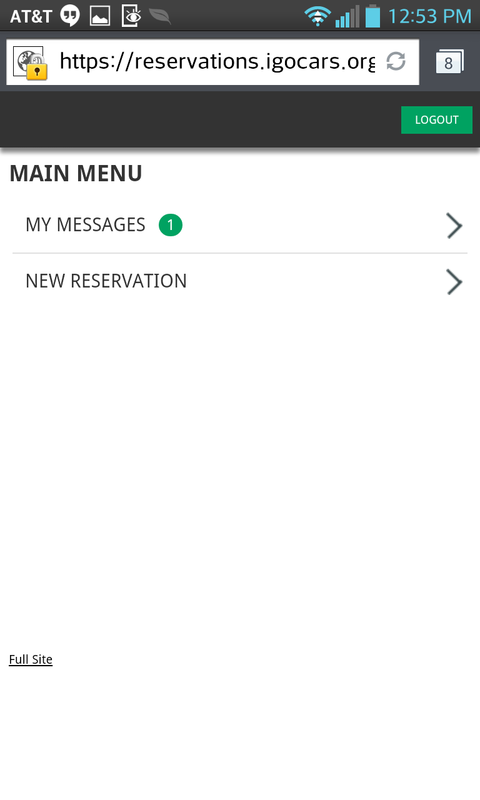 When making and managing a reservation, I most frequently do so via my smart phone, and not from my computer. Unfortunately, your mobile site makes this nearly impossible and thus I often give up and take an Uber instead. This is the first screen I see when I log into Enterprise’s mobile site. I only have one option – to make a new reservation. However, when I’m already out driving, and need to make a change to my existing reservation, I have no ability to do so (going to the “Full Site” is a painful and nearly impossible option). 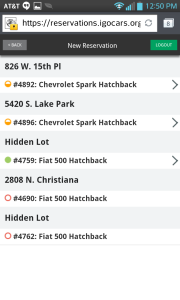 I can select what time and date I want to reserve a car, and choose a location based on previously saved addresses (but, alas, there is no GPS plug in which could tell me where the nearest car is to my current location). 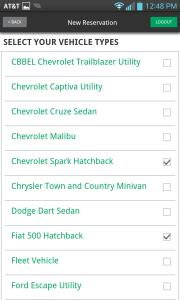 Then, if I select “Vehicles”, I will be shown a full list of ALL of the vehicles available by Enterprise, in alphabetical order, with no relation to the location I already chose. 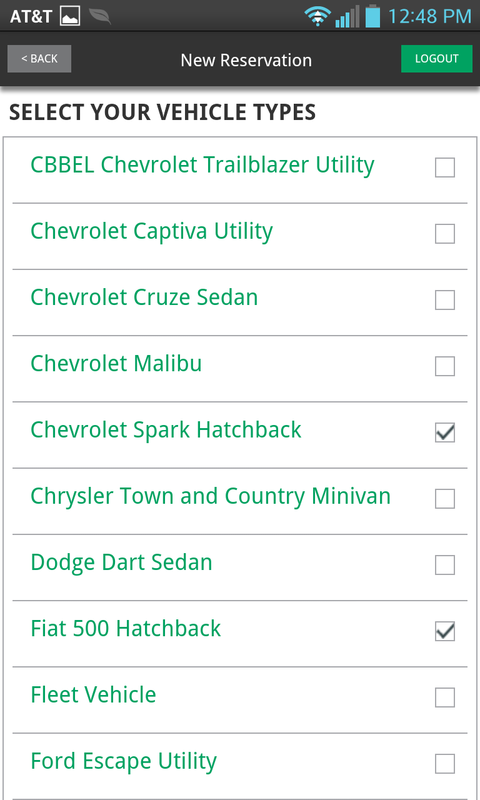 Then, once I select the car types I want, there’s no way for me to say “Done” or “Next”. The only option is “Back”, which sounds like it will undo my selections and lose the information I just entered (however in practice it does not). The addresses listed are largely meaningless to me, even though I have been living in Chicago for four years. What I really want is a MAP showing me pins where all of the cars are. 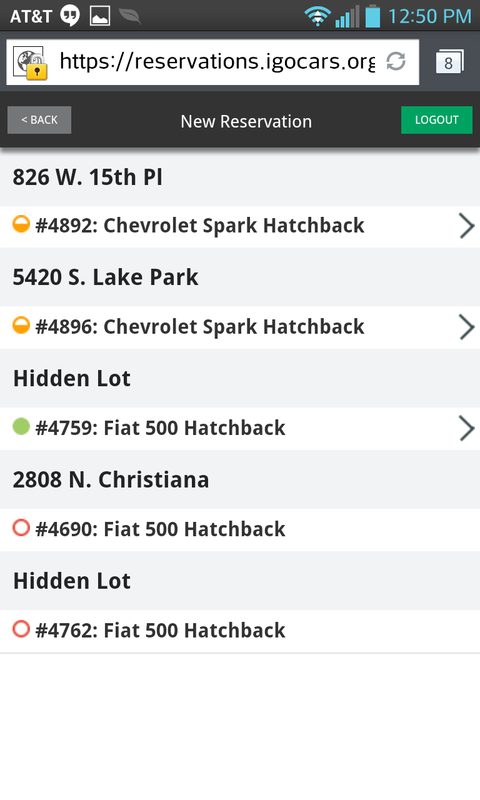 Additionally, what does “Hidden Lot” mean?? There is no reason I would ever select that car (i.e., spend money) for a reservation. 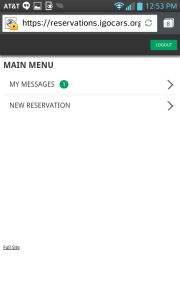 Enterprise, improving your mobile reservation experience could go a long way in making happier and more engaged customers. I hope that the above letter gives some insight into my decision, and let me know if you have any questions. ← Do you nap on the way to work?